Posted byRonnie Hughes	 June 15, 2015 June 18, 2015 Leave a comment on Street of the Year? Cairns Street in Granby. 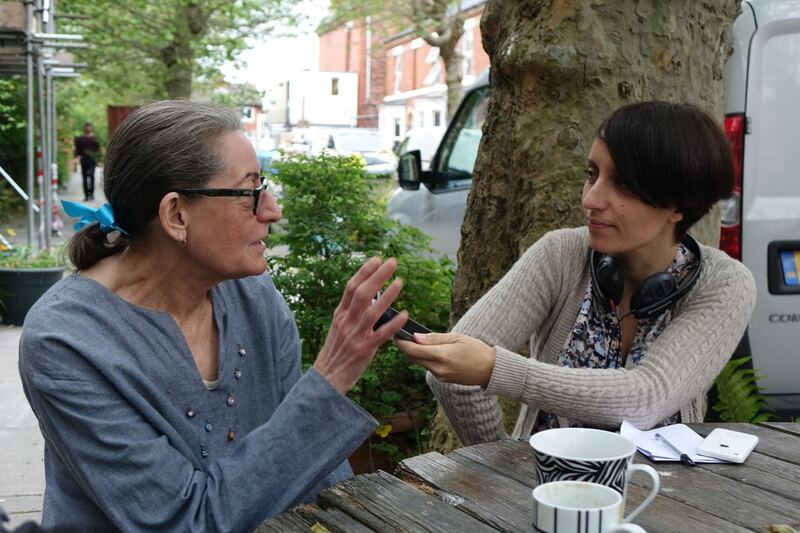 Granby resident Hazel Tilley being interviewd about the Street of the Year nomination by Jessica Robbins of BBC Radio Merseyside. Cairns Street in Granby, this week. 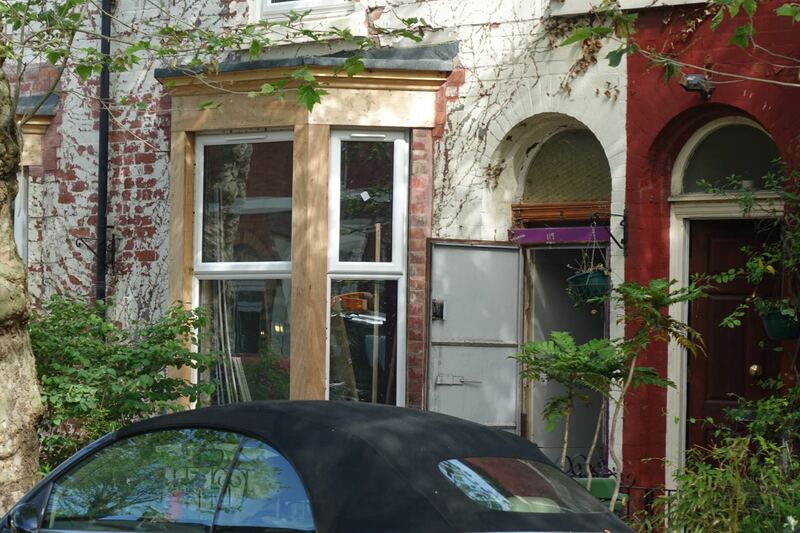 Coming soon after Granby 4 Streets architects Assemble being nominated for the prestigious Turner Prize for their work in Granby is the news that one of the 4 Streets, Cairns Street, has now been nominated as one of the streets up for the ‘Street of the Year’ award. This award is given by the Academy of Urbanism, covering the UK and Ireland and award nominations are made by members of the Academy, not by representatives of the streets themselves. 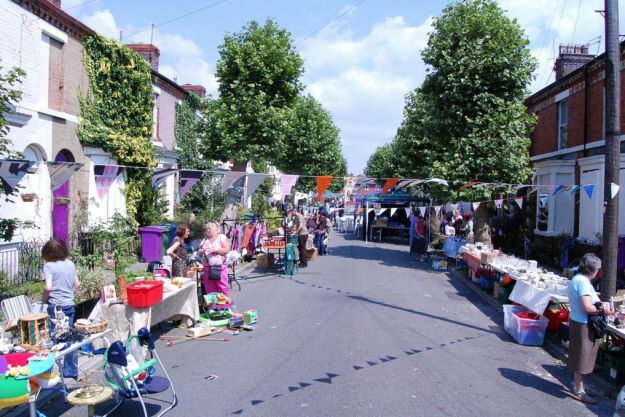 Awards given cover places, neighbourhoods and towns as well as the one for individual streets. Street Market in Cairns Street. ‘After several years of negotiations and canny political footwork the street has not just been saved from large-scale demolition, but is in the process of being refurbished by a range of organisations. 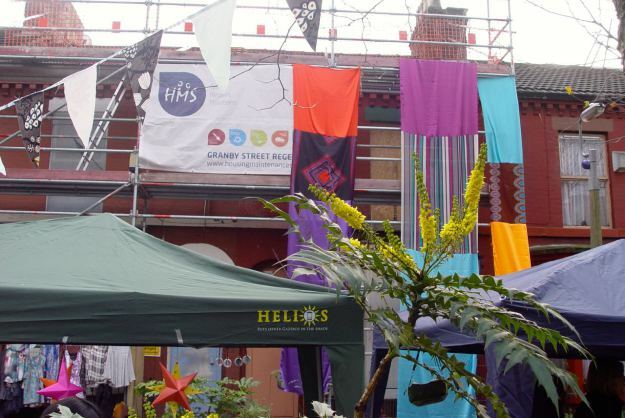 Organisations working in Granby 4 Streets with Liverpool City Council include Granby 4 Streets Community Land Trust, Steinbeck Studio, Terrace 21 Co-op, Plus Dane, Liverpool Mutual Homes plus several private individuals investing in their own homes having purchased them for £1 under the council’s Homes for a Pound pilot programme. 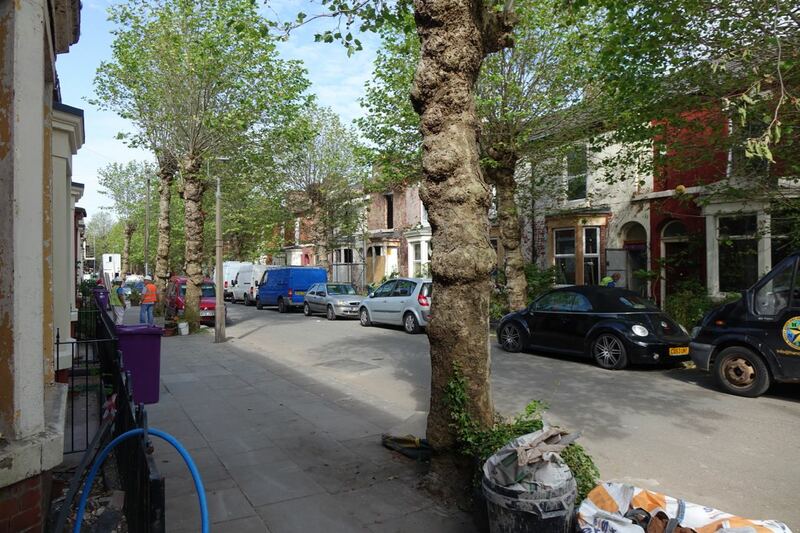 More information at Granby 4 Streets CLT website and of course on here. Further information on the Urbanism Awards 2016 and other places nominated here.